"Kingdom Come,"thy will be done is exactly what the new Kittie album "In the Black," is about. The fifth installment released by the all female-fronted metal group, and the first after signing with E1 Music. "In The Black" features brand new bassist, Ivy Vujic. 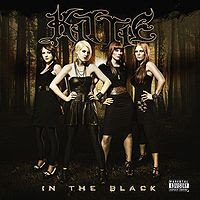 “In the Black,” goes directly back to Kittie's their older roots, harkening the days of “Until the End,” (2004) and debut release “Spit,” (1999). “Look So Pretty,” sounds superbly like “My Plague,” and “Cut Throat,” sounds just like “Charlotte.” As far as the rest of the album goes, Morgan’s skills have improved, showcasing her guitar and vocal abilities even greater than their previous works. "In The Black" highlights Morgan's singing over her "growling" on past efforts. 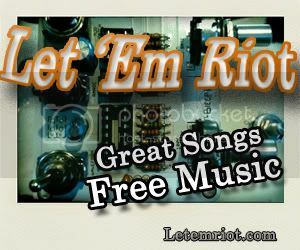 The instruments get faster and heavier through each song, adding a climactic energy to the album. “Sorrow I Know,” and “Falling Down,” are the albums only 'slow' songs, all the rest maintain that heavy, but fast rate that doesn't let up. Kittie has proven themselves worthy musicians this time around going back to where it all began sounding a lot more pumped let alone determined to create an album worth listening too.